Welcome to the GDG Vienna! We are a group of developers using technology offered by Google. We meet to discuss a wide array of topics ranging from Google Cloud Platform, Polymer, Firebase, TensorFlow, Android, Angular, Chrome, Dart, Go, Google Maps API, Google Fit and many more Google related technologies. All skill levels are welcome to come join us in learning, teaching, and networking with others! Our regular meetings will feature talks and guest speakers discussing APIs and platforms related to Google. And sometimes we'll throw in other developer-oriented demos, interaction, special guests or games just for fun. Whatever the topic, it will be a great opportunity to meet, talk and make friends with Vienna-area developers who are using Google technologies to create interesting and innovative projects. 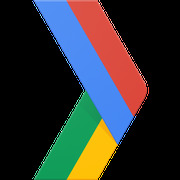 Please note: GDG Vienna is a group of developers in the Vienna area that is independently organized by individuals, and is not a part of Google, Inc.